Traffic on the Hawthorne Bridge. This story is by Joe Cortright. It first appeared on City Observatory. 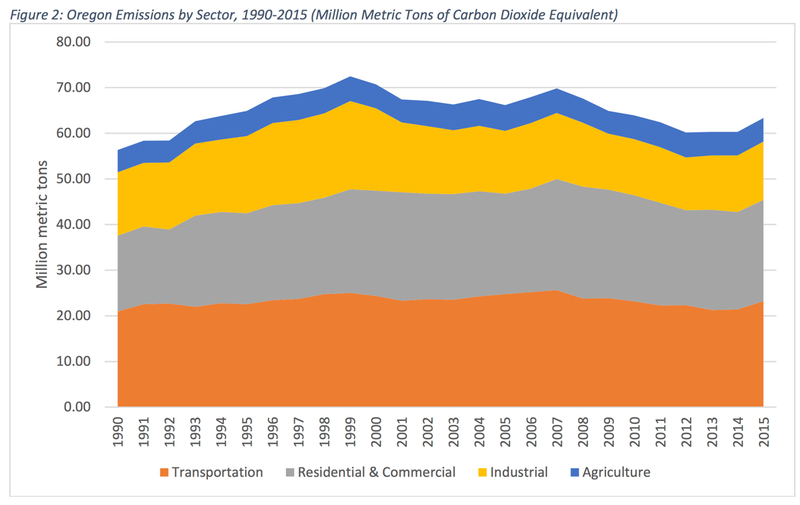 This story is by Portland writer and economist Joe Cortright. It first appeared on City Observatory. 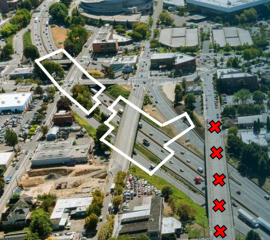 We’re putting the I-5 Rose Quarter project under a microscope, in part because we think it reveals some deep-seated biases in the way transportation planning takes place, not just in Portland, but in many cities. Today we turn our attention to plans to tear out a key local street which serves as a major bikeway in north Portland. 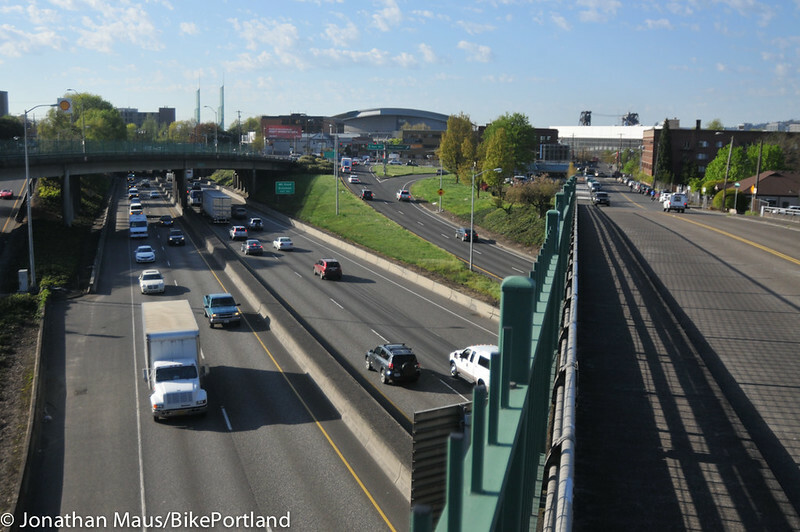 A quick refresher: I-5 is the main north-south route through Portland, and the Oregon Department of Transportation is proposing to spend at least $450 million to widen it with new lanes on a one-mile stretch just north of downtown. A growing coalition of community groups has organized to fight the project as wasteful, ineffective and at odds with the region’s climate change and Vision Zero goals. As the project moves forward, so to are efforts to stop it. The initial draft of Oregon’s just-passed transportation bill was an audacious money-grab from misguided politicians and the freeway advocates that fuel them. Thankfully, the final version that Governor Kate Brown signed into law today in Portland dramatically scaled-back our investment in urban freeway widening projects; but not completely. One of the winners in the bill was a project that will expand Interstate 5 through the Rose Quarter — right through the heart of Portland’s central city. And with City Council poised for a vote to add the project into Portland’s Transportation System Plan on September 7th, activists are laying the groundwork for another freeway fight. 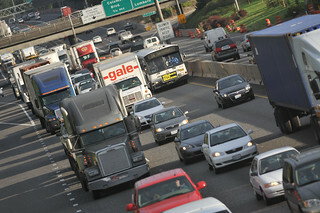 We deserve a better ODOT before we hand them new revenue. 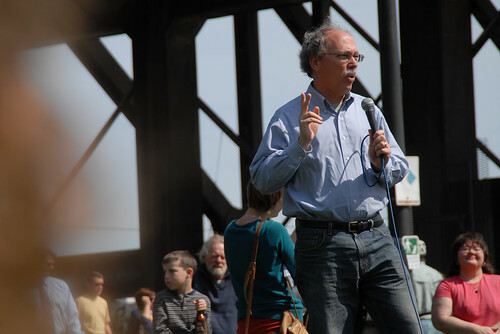 This guest essay was written by Joe Cortright, an urban economist with Impresa Consulting who also runs CityObservatory.org. There are a lot of big questions about the Oregon Department of Transportation’s (ODOT) competence and capability. Unfortunately the new $1 million audit undertaken by McKinsey and Company answers none of them. 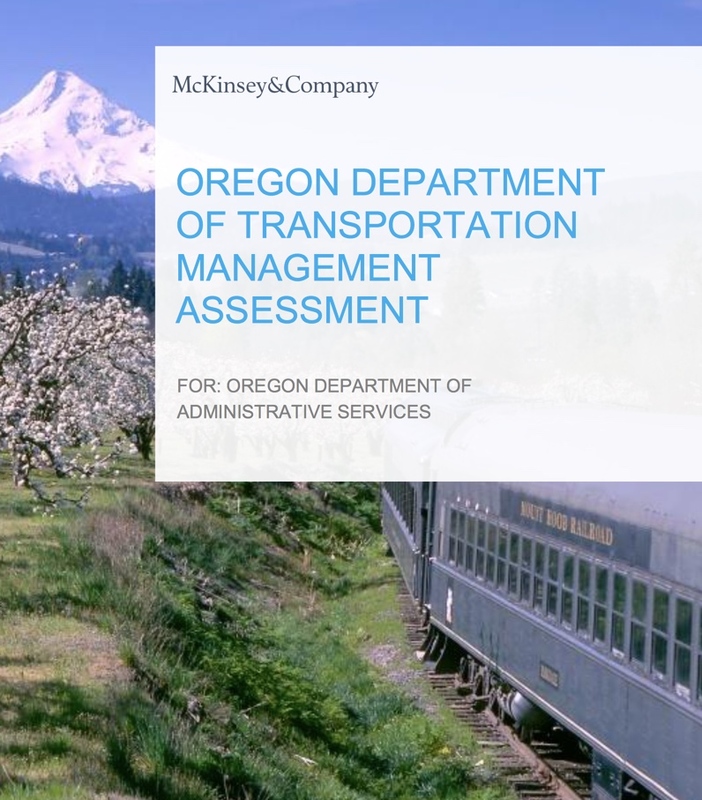 The audit is misleading, inaccurate and omits key facts about ODOT’s substantive management problems. In effect, the audit actually conceals some of ODOT’s most expensive blunders. An audit that doesn’t acknowledge, much less analyze, obvious problems can’t provide meaningful solutions. For example, auditors who can’t even correctly identify the cost of the agency’s largest construction project—and who purposely omit it from their one statistical chart showing cost overruns—aren’t worth the money they’re being paid, because they haven’t done their jobs. Why does this matter? Because the Oregon legislature is about to begin a debate over transportation funding that could result in hundreds of millions of dollars flowing through ODOT’s hands. The “shared vision” of transportation reform advocates was literally on display at the kickoff of the Oregon Active Transportation Summit this morning. The event, organized by the Bicycle Transportation Alliance, is being held at the Sentinel hotel in downtown Portland today and tomorrow. I’m covering the action for the first part of the day, then our News Editor Michael Anderson will take over in the afternoon. 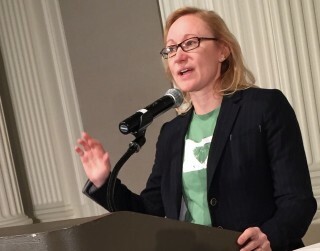 The summit started with an opening speech by Lynn Peterson, the former transportation policy advisor to former Oregon Governor John Kitzhaber who was recently forced out of her position as director of Washington’s Department of Transportation. 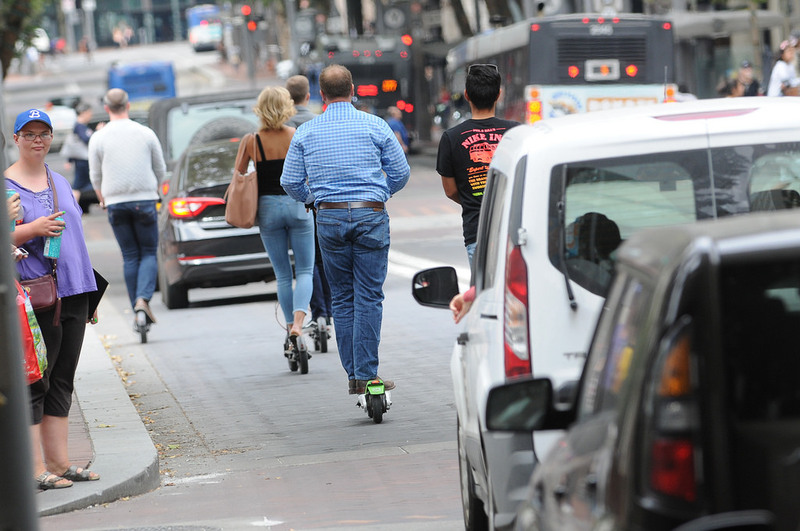 Guest article: How should Portland pay for streets? Joe Cortright, economist in action. 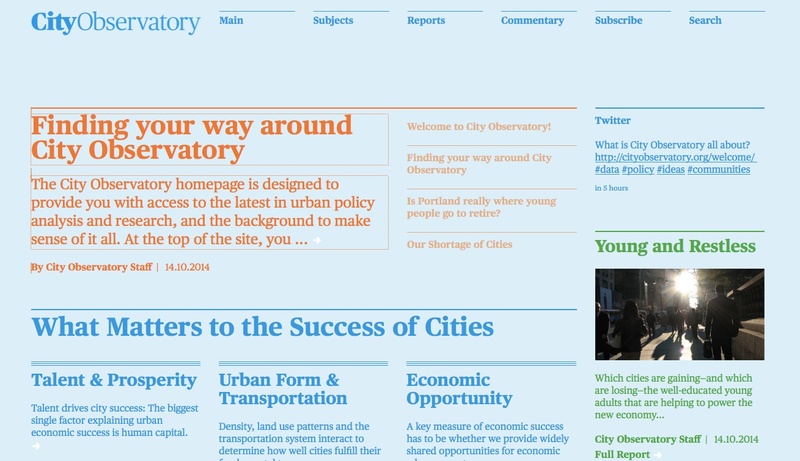 This is a crosspost from City Observatory, the new think tank about urban policy led by Portland-based economist Joe Cortright. 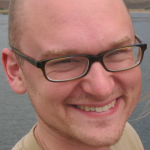 Many BikePortland readers will know Cortright as one of the loudest critics of the defunct Columbia River Crossing freeway expansion plan. The plan now is for the street fee solution to be laid at the feet of Portland voters in the form of a civic multiple choice test: Do you want to pay for streets with a monthly household street fee, a higher gas tax, a property tax, an income tax or something else entirely? Topics on the site will be arranged in a system of “cards,” copying a successful feature of popular news site Vox.com. The goal of this new venture will be to spark conversations about what policies and practices will create great cities. Cortright received funding for the project from the John S. and James L. Knight Foundation. Economist Joe Cortright says new traffic projections from a previously undisclosed report reveals an inconvenient truth about the Columbia River Crossing project. 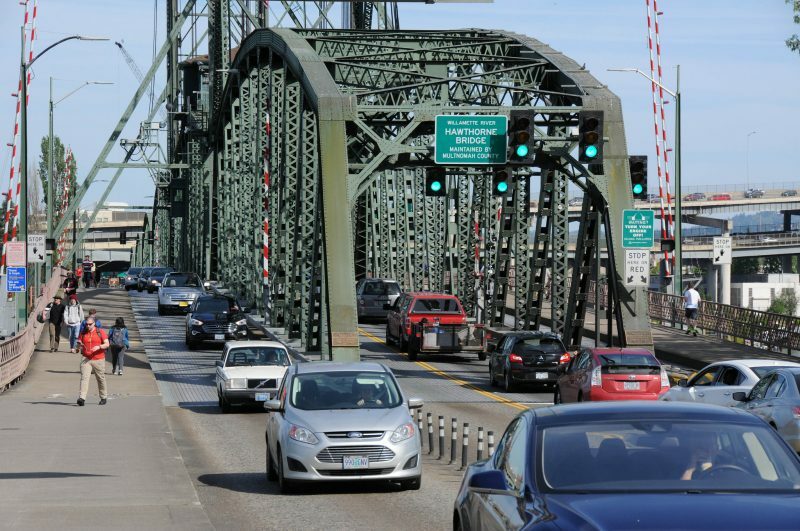 The plan to toll the existing I-5 bridge span (starting in 2016) would lead to nearly 50,000 people per day opting to drive over the I-205 bridge instead. As a result, not only would I-205 (and its feeder routes I-84 and SR 14) become jammed during rush hour, but there would be a significant decrease in traffic on I-5 which raises new questions about the wisdom of spending $2.7 billion to significantly expand its capacity. This analysis is detailed in a new, 12-page report by Cortright’s firm, Impresa Consulting Inc. (PDF). Cortright obtained the underlying data via a public records request from the CRC and the records come from a traffic modeling report performed by CRC contractors CDM Smith.